This article is sponsored by Terra’s Kitchen. The opinions are all mine. I’ve got a special surprise for you today. Yep. That’s right….a surprise. This surprise came to my door last week and I was so excited. A few weeks ago, the folks at Terra’s Kitchen reached out to me because they wanted to send me some of their yummy, fresh, seasonal ingredients that they pre-portion and prep for skillet-ready meals and deliver them to people’s door steps. Pretty interesting, isn’t it? So, I thought, “Door to door meal delivery service service?” I’m in! I couldn’t turn that down! Especially when the package is chock full of fresh, whole, one-ingredient foods that I love. This was totally a win-win situation and I’m already eyeing their menu for what I wanna order next. So, as you can imagine, I was excited. Not only because I could actually EAT this food but because it was delivered fresh and in perfect order…nothing soggy, nothing dried up, nothing rancid. All fresh. Like what???? I’m a personal chef and I was impressed so I can only imagine what you’d think of this healthy food delivery service. To make a long story short, this delivery has me over-the-moon happy. And when they told me they have a rotating seasonal menu, I literally giggled with joy. Now, let me tell you that I’ve never ordered a food delivery service before; I usually just buy my groceries delivered daily from my neighborhood health food store. But this…..THIS is something that I am so in love with. If I can do prep these meals alone- in a small Manhattan kitchen- than you surely can do it, too. 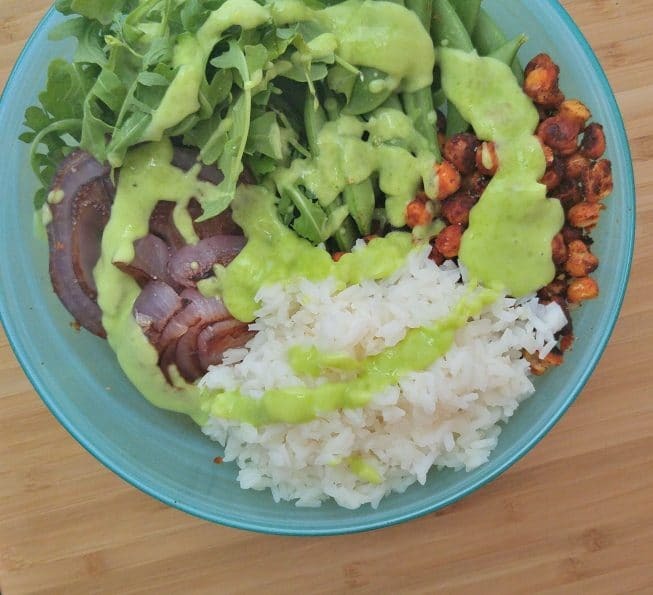 I whipped up these two amazing Buddha bowl recipes in less than 30 minutes AND to show you just how quick I did it- I took these photos with my phone. YES you heard me correct. I snapped all the photos in this post with my phone to prove to you how quick, easy and beautiful the Terra Kitchen food is when you toss it all together. It’s the real deal. These recipes lasted about 5 minutes on my counter top after I took these pictures because I dove in with a fork and sat on my floor in Indian style and had a little picnic with myself. So much fun. So much flavor. When I asked about their flavor, they told me that they use the highest quality food sources that are derived naturally and directly from ‘la terra’ (the Earth). 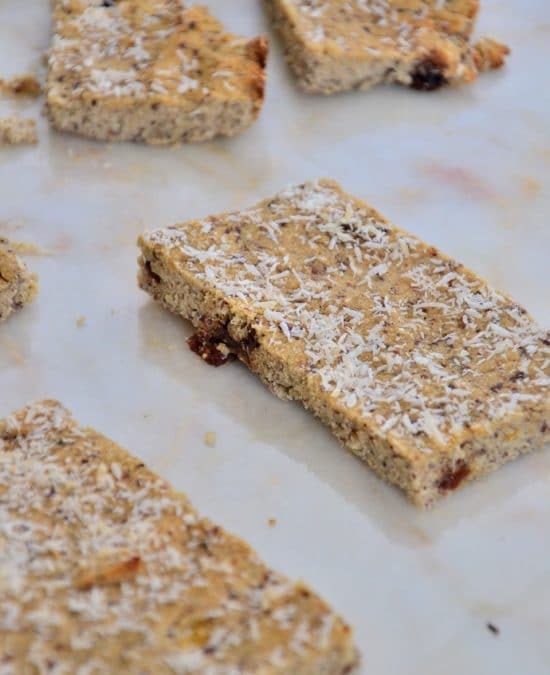 Their nutrient dense recipes never use artificial or processed ingredients, which made me super excited. So much goodness packed into a bowl with my favorite ingredients. It was like an indoor summer picnic party-of-one! And to me, it doesn’t get much better than that! First let’s talk about how beautiful the printed recipes are (check out the second image on this post for a snap shot of the recipe cards). The quality of this paper—OMG amazing! Now, I’m not one to notice paper quality, folks, but you know the feeling when you get a fabulous business card or wedding invitation or card stock and your hands and you are like, “WOW I’m in love with the feel of this.” Am I the only one that feels this way? I hope not. It feels like velvet, hehe. I know you know what I’m talking about here. Okay that’s not the purpose of this post- back to the food. 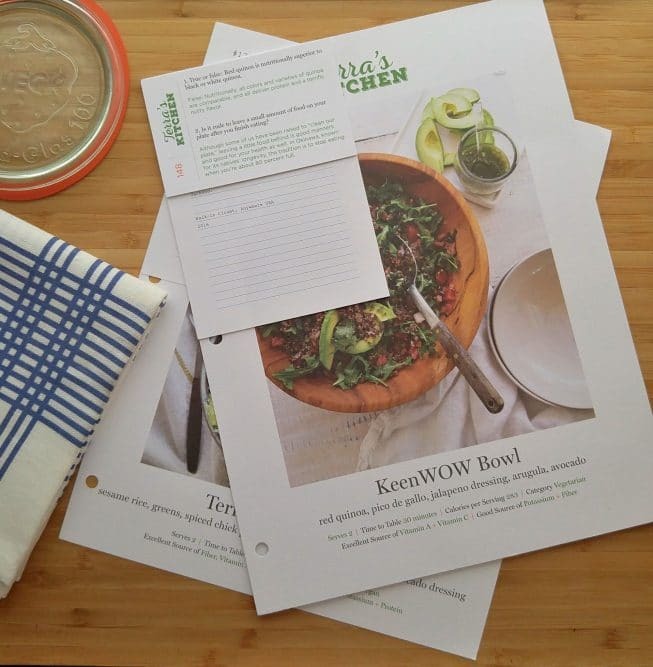 But for real- these recipe cards are beautiful. Beautiful. And their hole punched and perfect for a binder to keep ’em all nice and fancy. So, something you should know about me is that I don’t follow recipes. I just don’t. It’s exhausting and boring and I have more fun just doing my own thing when it comes to cooking. 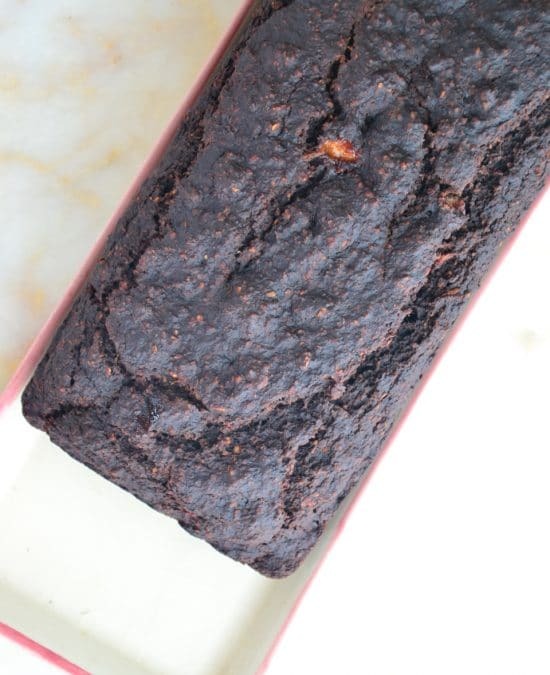 Ask my parents… when I’m visiting them or any of my friends- I’ve never followed a recipe and sometimes that gets me into baking trouble but overall I just wing everything and it comes out amazing- even my clients are impressed. So, I was a bit nervous last Friday morning when I woke up and opened this box full of food with recipes. I sort of froze. But then I said, “Amie- you’ve got this.” And I turned on my air conditioning (thanks for the AC window unit, Uncle Mike), turned on my oven to 400 degrees F (it was 95 degrees outside-yikes) and whipped up BOTH of these recipes at the same time in under 30 minutes. YES I kid you not, that’s how easy this is. I was pretty impressed, myself. 30 minutes is nothing. I could literally do this every single day. So, let’s talk about what I made, shall we? 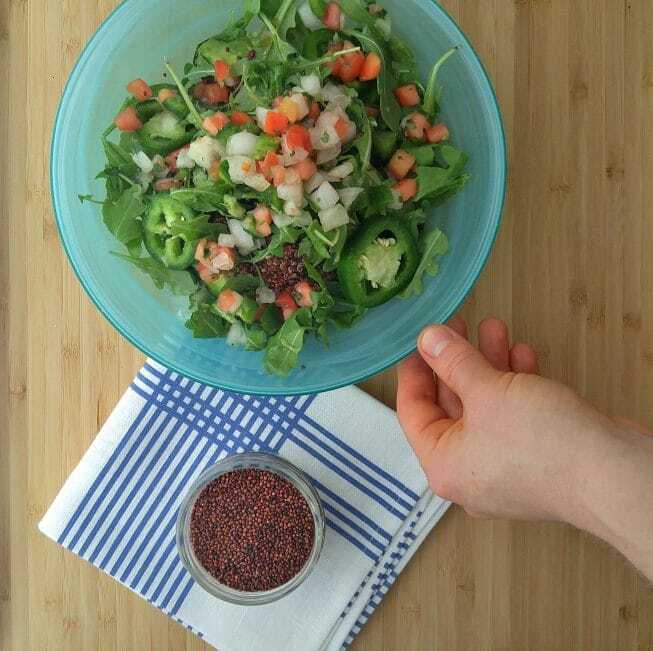 I made their KeenWOW Bowl (below), which was a fabulous mix of quinoa, avocado, pico de gallo and jalepenos. My mouth was drooling the entire time I was making this- I couldn’t wait to dig in. So good. So so so good. You get the point. 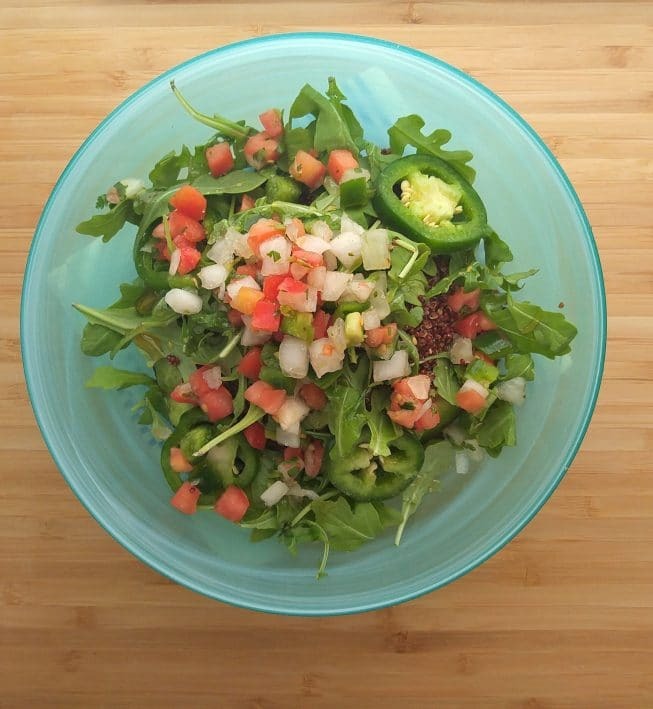 Looks like the avocado fell to the bottom so you might be able to peek through the arugula to see it in there somewhere….I tossed that into the bowl first and cut the avocado into large chunks so it sunk to the bottom. 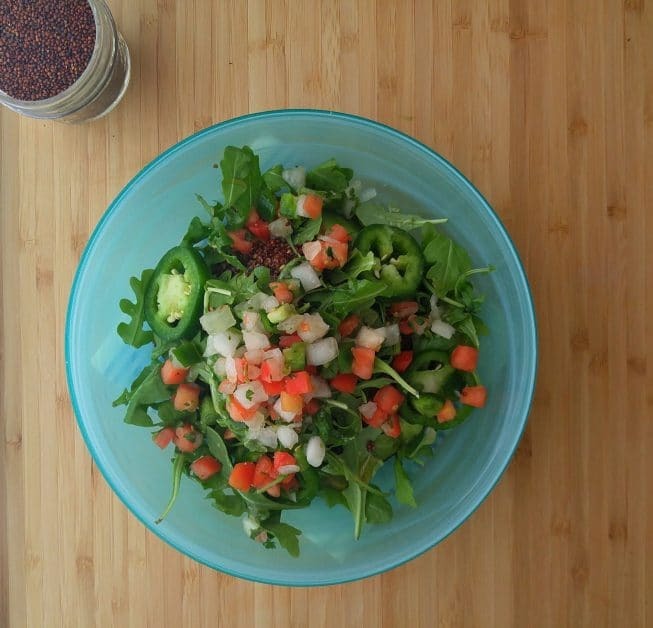 When I ate this salad, I tossed everything together so that my mouth was able to chomp on the creamy avocado along with the quinoa and other lovely ingredients. The dressing had a little bit of honey, apple cider vinegar, sea salt and pepper in it- all which were included in my handy dandy delivery kit! 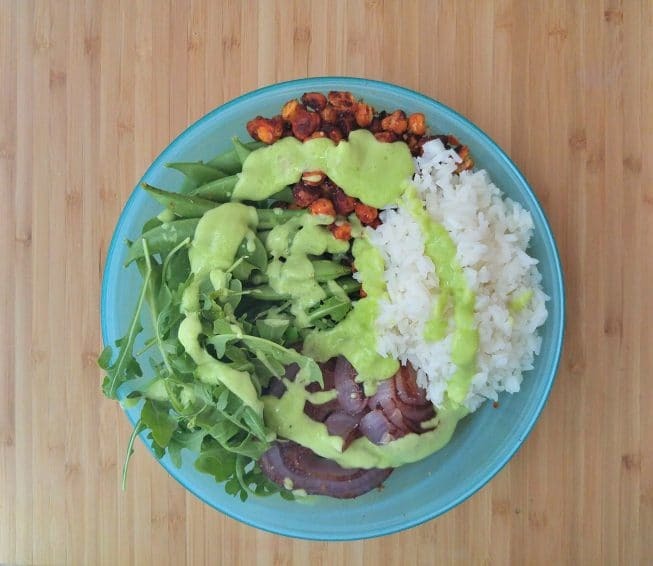 I also made their Terra Buddha Bowl (below), which was divine. I roasted chickpeas with a bunch of spices and olive oil along with pre-sliced red onions that were delish. I roasted them to perfection at 400 degrees F for about 20 minutes while I cooked up jasmine rice. Do I live under a rock because jasmine rice has the most incredible smell- my kitchen was heavenly. I’ve cooked jasmine rice a few times before but not in my small apartment, hence, the heavenly smell in tight quarters. If you live in a mansion, I’m sure it will still smell good, hehe. Let’s focus on the dressing for just a second—this avocado drizzle is so easy to make…fresh lime juice, water and avocado pureed together in a high speed blender. 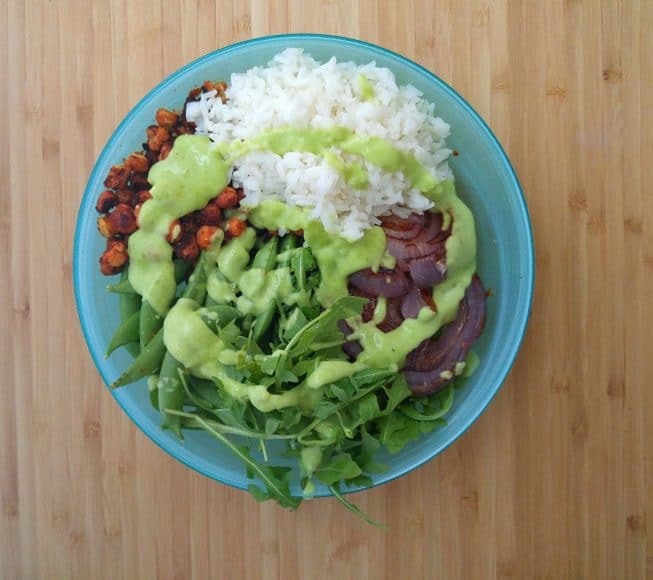 I’ve made an avocado dressing like this for myself for many years now and following a recipe for it was a lot different- but surprisingly delicious. Each recipe comes with a list of the kitchen equipment that you’ll need (which isn’t much at all–you probably have everything already in your kitchen), tells you what you need in your home pantry such as salt and pepper and gives you a list of wine and beer pairings (even though I don’t drink alcohol, it’s a great idea if you’re entertaining and you’re in the mood for a lil’ somethin’ somethin’. The amazing folks over at Terra’s Kitchen sent me our very own fun discount code for you to use when you place your order! You can use the code: APPLE30 at checkout to receive the discount on your Terra’s Kitchen meal delivery order. So much better than food shopping in a busy store or ordering take-out, don’t you think? p.s. For those of you who I’m sure will ask about waste and packing, you’ll be delighted to know that they take every extra step to find sustainable food sources and reduce their impact on the environment. This includes their packaging, which is completely reusable! The eco-friendly Vessel is reusable and creates 0% waste, as Terra’s Kitchen will schedule a pickup date and time with its customers to retrieve it and reuse. Now, that’s pretty amazing, if you ask me!